Originally posted: February 21, 2018 . Last modified: April 6, 2019 . Coconut Custard Pie is full of sweet custard, flaky coconut, and tastes like a macaroon in pie form. It’s a light and delicate treat that is sure to become a dessert staple. Coconut Custard Pie is a recipe that I’ve been meaning to share with you for ages! For one reason or another it kept slipping my mind. 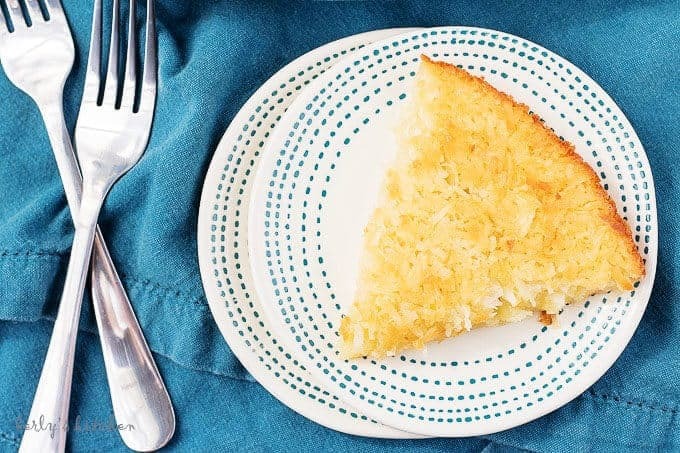 This coconut pie is one of those great recipes given to me by my grandmother. It’s written on a little note card in the simplest of instructions similar to the Mexican rice and pumpkin roll recipes. Coconut Custard Pie comes together in about five to ten minutes, and according to my grandmother, there’s no crust. In fact, she always called it No Crust Coconut Pie. That makes it even easier. Just mix the ingredients, and pop it in the oven. Start off by preheating the oven and measuring out all the ingredients. For this recipe, the butter needs to be melted and cooled. Flour two pie dishes by applying a thin layer of butter or shortening to the dishes. Next, sprinkle them with flour and turn the dish while tapping the sides gently to ensure the bottom and sides are evenly covered. 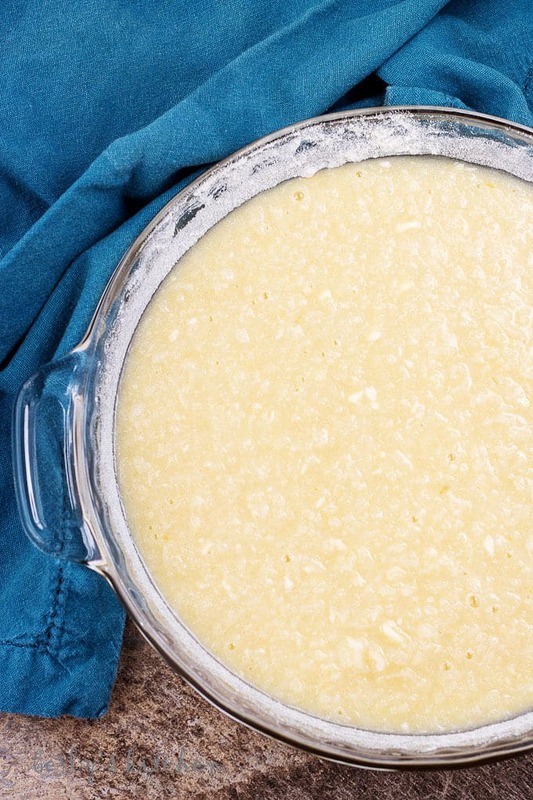 In a large bowl, use a hand or stand mixer to combine the eggs, sugar, milk, vanilla, flour, and cooled butter. Then fold in the coconut flakes. Pour the mixture evenly into the two pie dishes. Place the pies into the oven and bake until the tops are a beautiful golden brown. Let the coconut pies cool completely before serving. Since they don’t technically have a crust, the pies are delicate and are not completely set until cooled. Can I freeze coconut custard pie? Yes! This pie freezes well. It can stay frozen for about 6 months if stored properly. Just let it thaw in the refrigerator before serving. How is coconut custard pie served? I prefer to serve this pie after it’s been refrigerated. The pie holds it’s shape better and has a great flavor after it cools. Can I substitute gluten-free flour for the self-rising flour? Yes. However, we’ve only tried it with King Arthur Flour’s Measure for Measure, which is a blend. I can’t say how it will work with another brand. 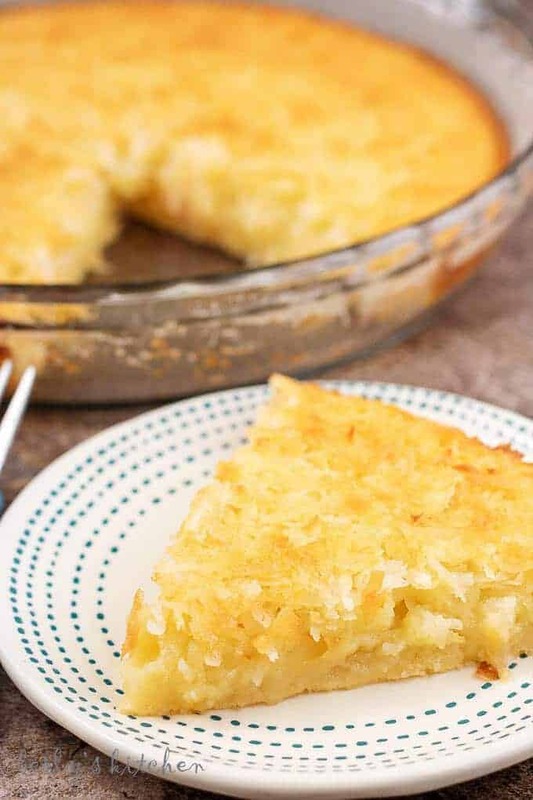 If you like this Coconut Custard Pie recipe, please leave us a comment and rate the recipe card. You can also find us on Facebook, Pinterest, Twitter and Instagram searching for Berly’s Kitchen! 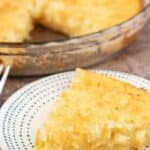 Coconut Custard Pie is full of sweet custard, flaky coconut, and tastes like a macaroon in pie form. It's a light and delicate treat that is sure to become a dessert staple. Preheat oven to 350 degrees. Grease and flour two 9-inch pie dishes. 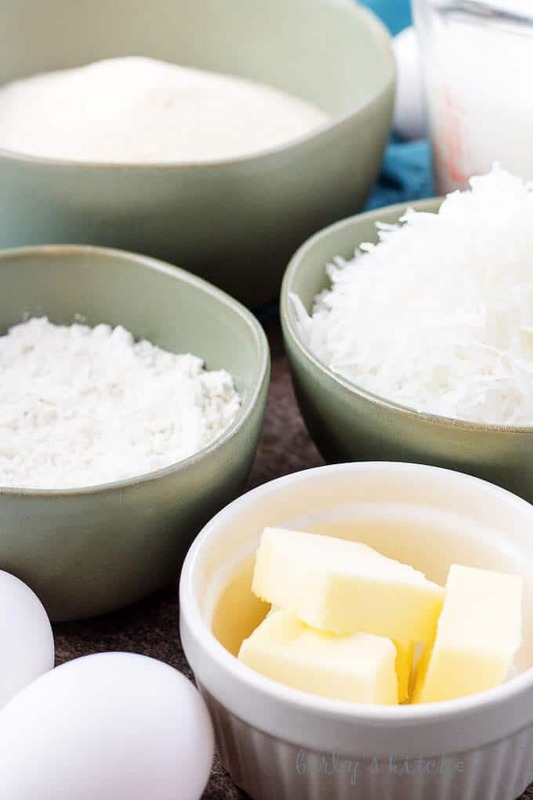 In a large mixing bowl, use a hand mixer (or stand mixer) to combine eggs, sugar, milk, flour, butter, and vanilla. Fold in the coconut flakes. Place the pies into the oven and bake for 35-40 minutes or until the tops are golden brown. Store covered in the refrigerator for up to 3 days or in the freezer for up to 6 months. *A gluten-free flour blend may be substituted for the self-rising flour. In addition, you'll need to add 1 1/2 teaspoons of baking powder and 1/2 teaspoon of salt. We have not attempted the recipe with any other substitutions. I’m not much of a sweet tooth but my hubby would sure love this. Thanks.. I will try making this for him. Thank you, Aditi! We hope he enjoys it. This looks delicious. I’m going to have to save this recipe to make soon. This is my father’s favorite pie and for some reason I’ve never thought to try and make it! Now I Can!